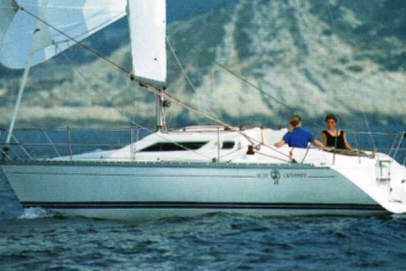 The Phuket based Sunlight 30 sailing yacht is a reasonably priced alternative to some of the newer models yachts in Phuket. 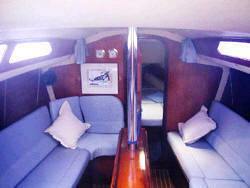 Although built in 1988, she's undergone an extensive refit in 2002, living her looking, 'as good as new'. The Sunlight 30 built by Jeanneau and based in Thailand offers two private double berth cabins - one in the forepeak, and the second aft to port. The salon settee can transform into two extra berths if required. 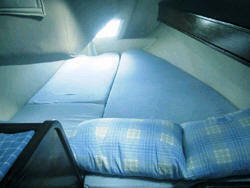 As there is one head with a shower, we recommend four people for a comfortable charter. 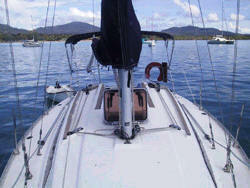 The Jeanneau Sunlight 30 bareboat from Phuket has new furling sails and an electric anchor winch. 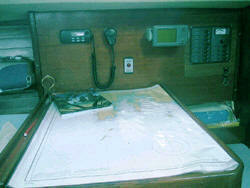 Marine electronics include VHS, GPS, wind instruments and depth sounder. 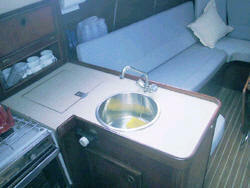 There are harnesses, a bimini and dodger, snorkeling and fishing equipment, AM/FM radio & CD player, fully equipped galley with LPG stove & oven, fridge/freezer.